The Stentrode is a non-invasive brain-recording device. It’s inserted via the jugular vein in the area of the brain that controls movement (motor cortex). “Signals just can’t get out because they are blocked by spinal cord injury or by other disease, so the device can record this information, translate it into something that is meaningful for a computer, essentially bypassing the damaged parts to control the computer,“ said Stentrode Developer Dr Nicholas Opie. A patient may be paralysed but their motor-control centre can still be activated, simply by thinking, the researchers say. The aim is to relay brain signals to devices such as computers or bionic limbs. 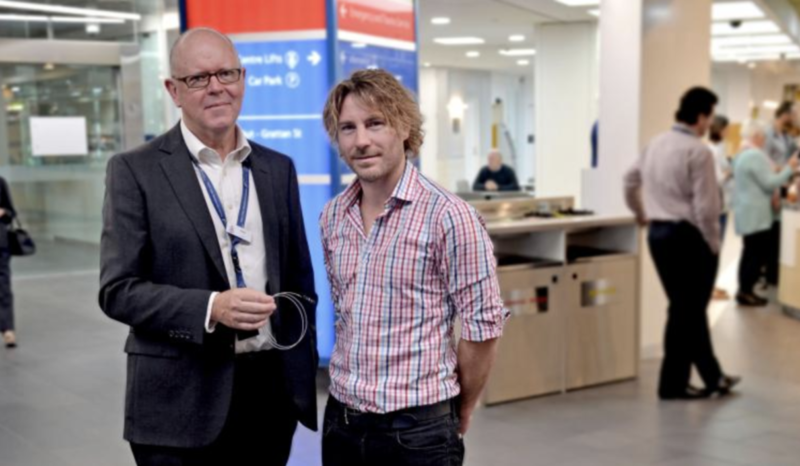 Stentrode creator and CEO of Synchron, Associate Professor Thomas Oxley said research has shown that, in individuals with neurological conditions leading to paralysis, brain signals can be recorded using electrical sensors implanted in the brain. “These signals could be used by the individuals to control assistive technology – such as personal computer, text generation, smart environment, mobility assist devices – that help with daily life, just by thinking and directly controlling special software,” Dr. Oxley said. “In particular, motor-neuron disease sufferers as well as other patients with severe paralysis may see some benefits such as being able to control a mouse or keyboard through the use of this device. This would give people back a small amount of independence”. Over the next few months, five patients will take part to the first human trial at the Royal Melbourne Hospital with conditions including spinal cord injury, stroke, muscular dystrophy, or motor neuron disease, including amyotrophic lateral sclerosis (ALS). The implant does not require open brain surgery. For more information please visit the SWITCH Study Trial.